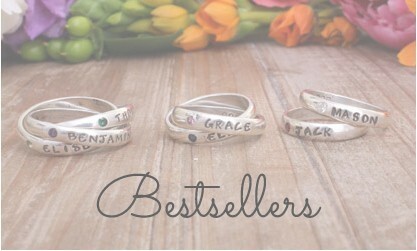 Mothers rings and personalized jewelry favorites from our customers - name rings, stackable rings and more! 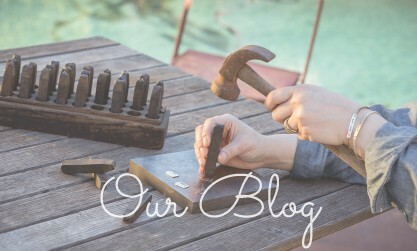 Mother's Rings and personalized jewelry are what Nelle and Lizzy is known for. 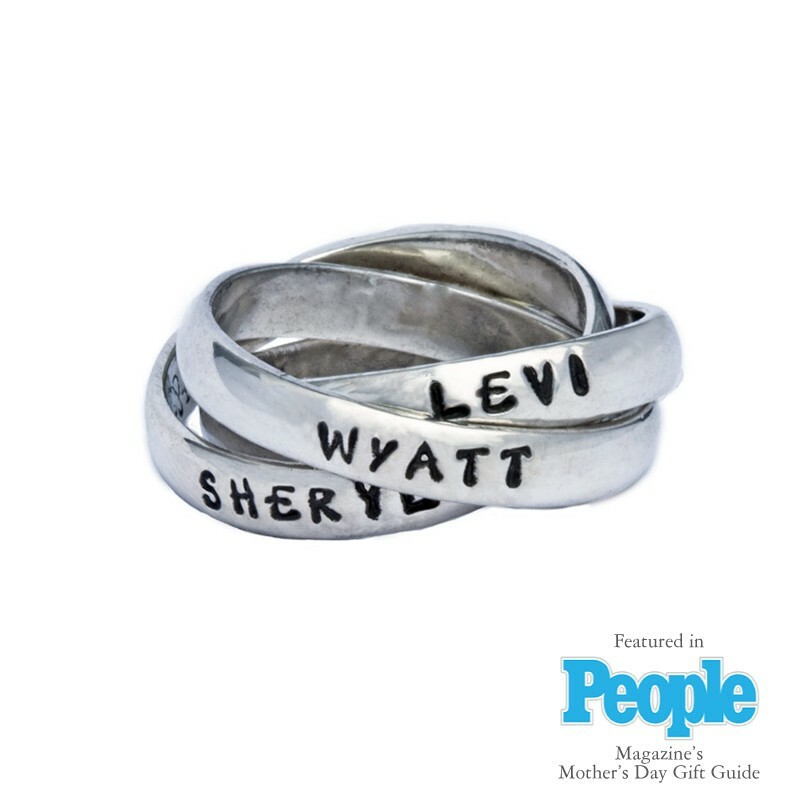 Looking for the perfect holiday gift for mom? 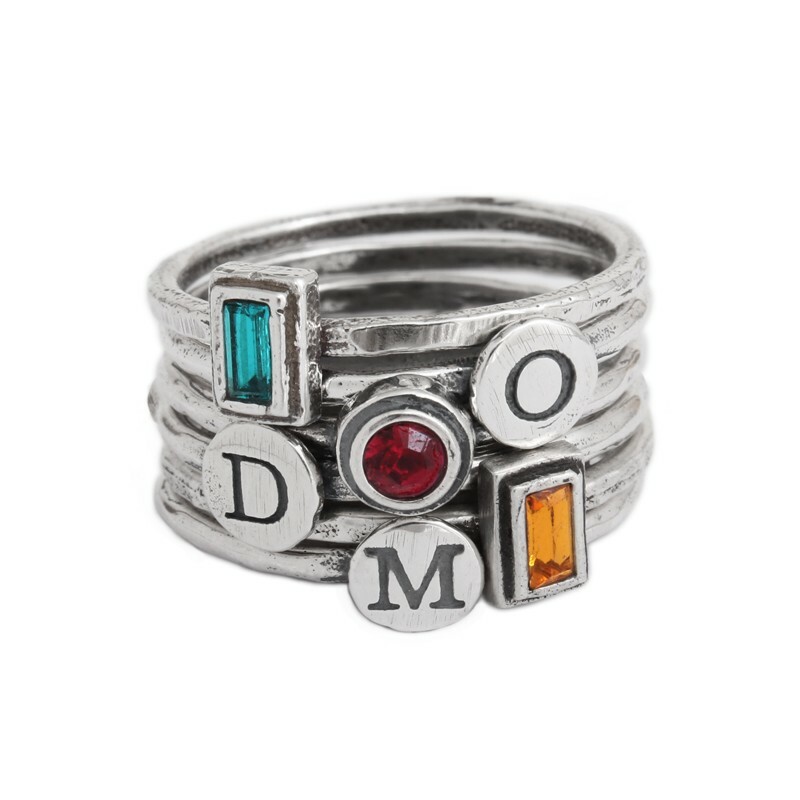 Mother's or Grandmother's Stackable rings, birthstone rings, name rings are just a few styles of our personalized rings where we have really made our "stamp" on the market! 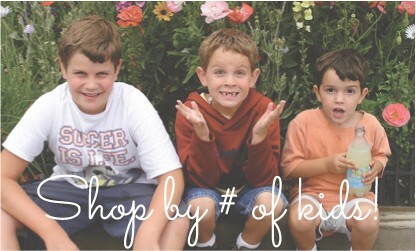 They would make the perfect gift for mom. 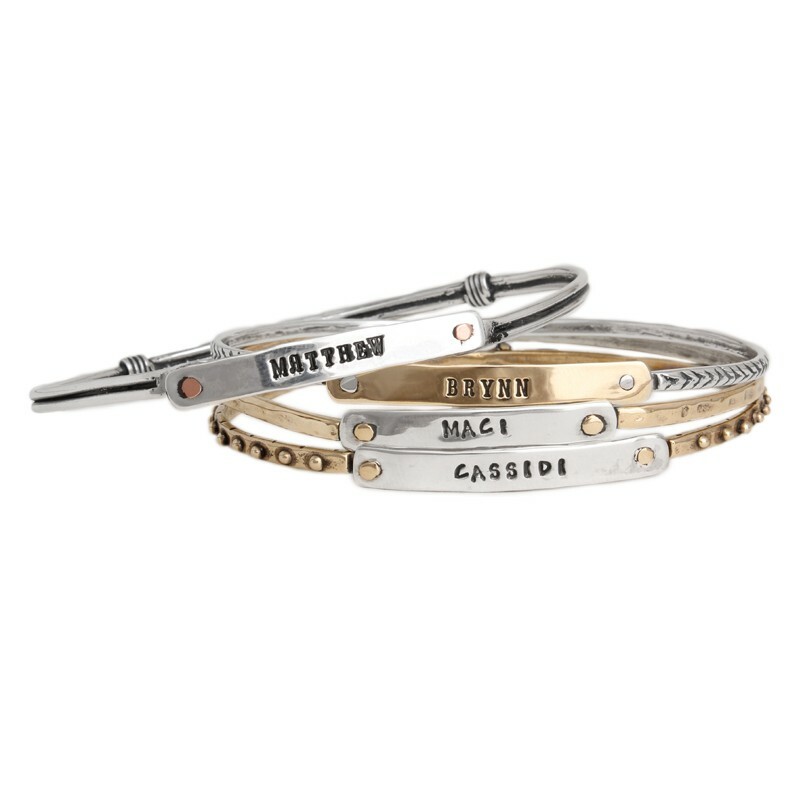 We also have a popular line of personalized name bangles, birthstone bangles and stacking bangles that will add bling to your style. 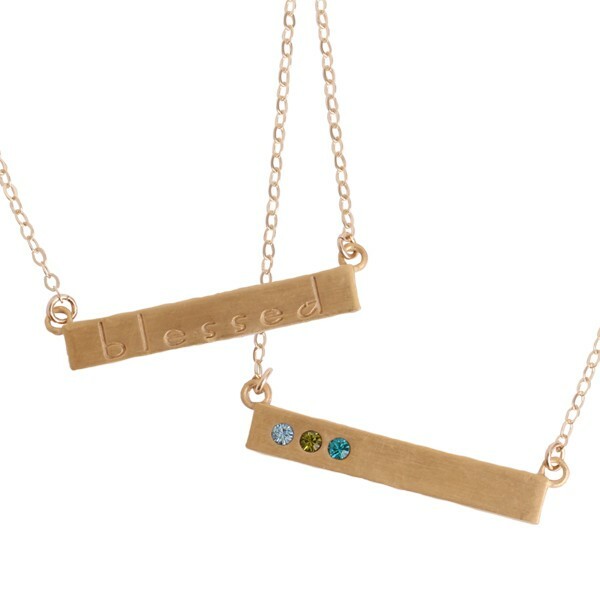 And if you are in the market for charm necklaces we can help you there with our ever popular birthstone bar necklaces and name plate necklaces stamped with a name. 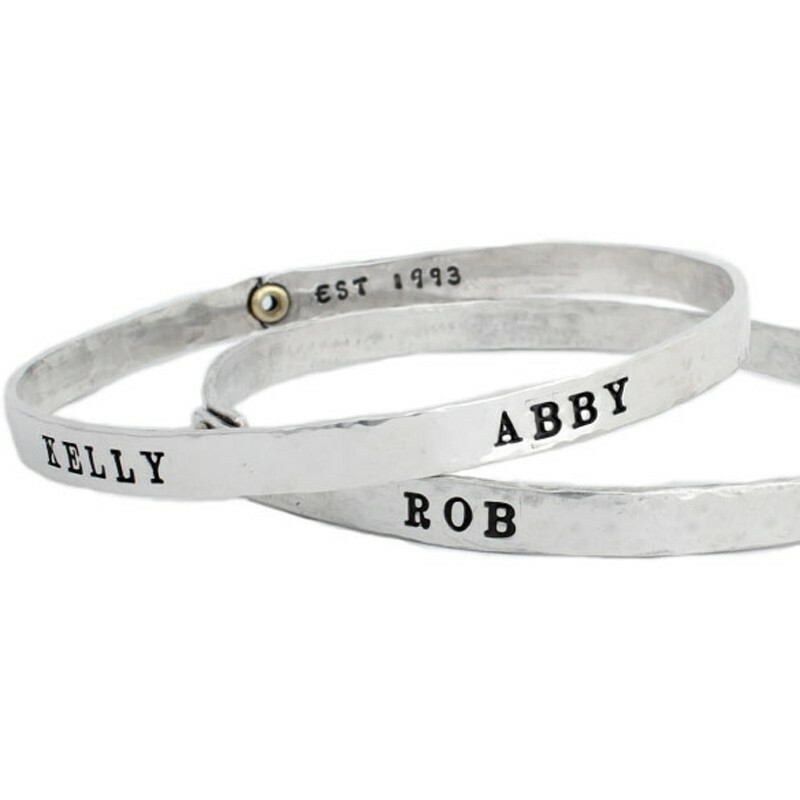 Select the perfect Christmas gift for mom or grandma with a piece of personalized jewelry from Nelle and Lizzy.